DELRAY BEACH, Fla. (Feb. 13, 2017) – Physical health and wellness training is only a small part of recovery for warriors returning to civilian life. 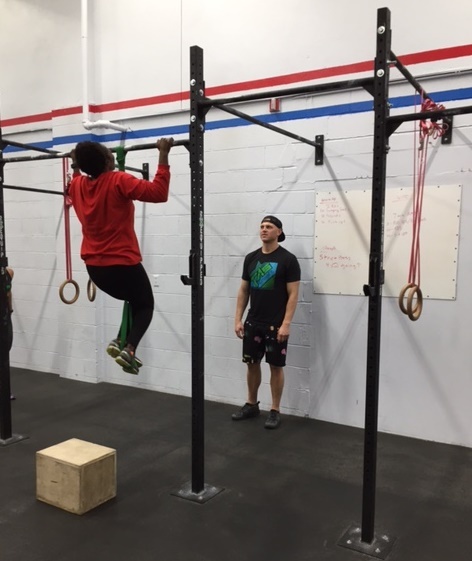 At a recent fitness workshop hosted by Team Red, White & Blue (Team RWB), warriors learned how to overcome their physical limitations through weight lifting, plyometrics, and stretching. And for one of the veterans served by Wounded Warrior Project® (WWP), the challenge of returning to civilian life included a social component, too. For many veterans, the experiences they had in the military were some of the best of their lives, filled with fellowship, meaning, and direction. But upon return to civilian life, the isolation they face can be one of the most significant struggles wounded warriors deal with. It can be difficult knowing how to overcome that challenge. For Tifani, the solution was in the environment at the fitness event. WWP program events support the long-term recovery needs of warriors by reintroducing them and their families to the unique bonds experienced during military service. In a WWP survey of the injured warriors it serves, more than half of survey respondents (51.7 percent) talked with fellow veterans to address their mental health issues, and 29.6 percent expressed physical activity helps. Tifani is studying exercise science, so she knew a lot about proper workout methods going into the event, but she still walked away with a new perspective on her training – both technically and relating to her life goals. For years, WWP has partnered with organizations like Team RWB that share its mission to honor and empower Wounded Warriors. WWP is committed to putting injured veterans’ needs first and building stronger relationships with other VSOs, which will dramatically improve services for wounded warriors and their families. For photos, click on multimedia, then images.